Perhaps athlete’s foot is not really as contagious as we imagine. A study done in the 1950s used 100 doctors and nurses as guinea pigs, exposing them to a pan of water containing 100,000 times the amount of athlete’s foot fungus they’d find on a typical shower floor for 30 minutes at a time, once a week. After six weeks, half the feet picked up fungus, but not a single athlete’s foot infection occurred, leaving researchers to hypothesize that the fungus can live harmlessly on the skin for years without incident and only causes trouble if the body’s natural defenses have been compromised in some way. Since athlete’s foot likes warm, damp areas, it’s only logical that the tub is the #1 culprit for transmission among family members. Harvard Health says the best solution is to wear shower shoes or sandals in the tub, as well as around swimming pool areas, and use a separate wash basin for cleansing the feet (dumping the water down the sink, of course). 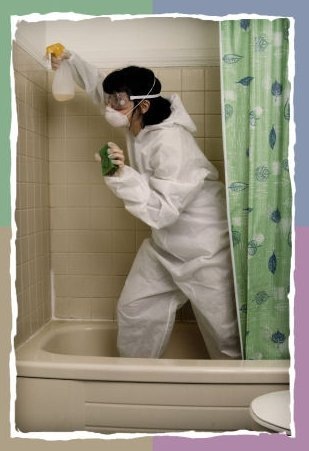 Another option would be to use Clorox Antifungal Cleaner on the tub floor after each shower. Don’t forget to throw bath mats into the laundry — and keep them out of the bathroom until the infection is gone! A person infected with athlete’s foot should never share towels with others. Towels should be hung separately and washed once a week, if not immediately. After using a towel to dry your feet, be sure to wash your hands to ensure that you do not spread the fungal infection to other parts of your body. Sheets prior to treatment should be washed immediately in water that is at least 140 degrees Fahrenheit. Sheets can be a vehicle for the infection to travel to other parts of the body as well, so it’s best to wash the sheet if you’ve had a fitful night’s sleep where the sheet has become all twisted up. Washing sheets at least once a week is prudent. Socks should be washed separately from other garments, since they come into the closest contact with the scales of athlete’s foot. A laundry hamper or bag should also be washed and disinfected with an antifungal bleach solution. Chlorine bleach wipes are a useful tool to have on hand for items that cannot be washed. Be sure you use a temperature of at least 140 degrees Fahrenheit or 60 degrees Celsius to kill fungal spores. Keeping the feet in socks or sandals is essential during treatment. Walking around barefoot puts everyone else in the household at risk. The Mayo Clinic says it’s important to let the feet air out as much as possible to speed up recovery and prevent more fungus from growing in its ideal environment — warm, moist and dark spaces. It goes without saying that someone with athlete’s foot should never share shoes. Spraying the footwear with antifungal treatment is recommended by many professionals. 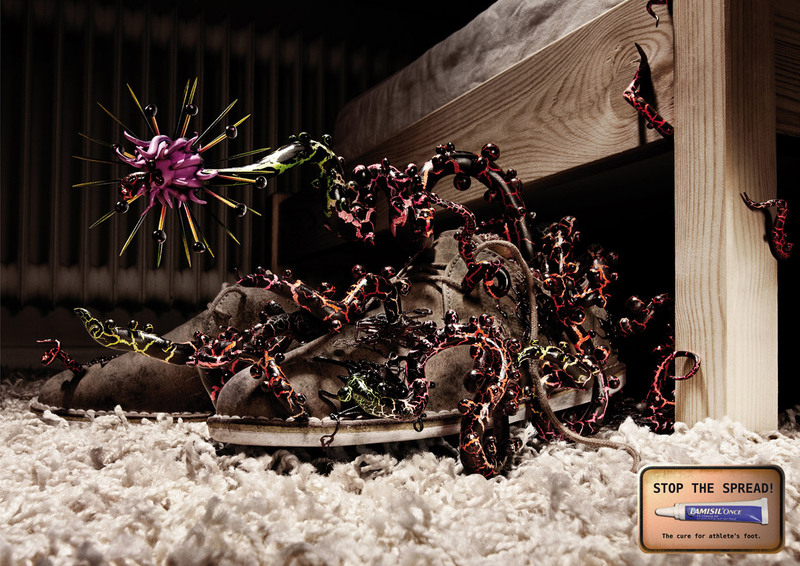 We prefer using a UV shoe sanitizer daily to kill 99.9% of all fungus and bacteria in the shoe within 45 minutes. You can find one of these at SteriShoe.com!